Being a mom is hardly an easy job, as you’re rearing little ‘uns to be welcome additions to society rather than drains. This doesn’t mean you can’t utilize “mom hacks” every now and then, all of which make life a little easier. Have tons of instructions for LEGOS and various other toys? Keep them all in one place with their own special binder. Use binder sleeves to house them, and decorate the binder as you wish to make it fun and interesting for your younglings. They’ll never whine to you about where the instructions are for this or that toy again! Tired of the kids leaving the toilet paper a long, strewn-out mess? Create a sign that indicates how low the paper can go–if it goes past, it’s way too long! Make the sign bold and colorful to further emphasize your point. Do your kids love playing in the snow, but always come home with sleeves full of the white stuff? Make sure it doesn’t happen anymore by taping sleeve and leg openings shut. Problem solved! Can you never find the right cleaning supplies when you need them? Solve this problem for good by hanging a shoe rack on the back of the laundry room door or anywhere else that’s convenient. Place a bottle of cleaner in each slot, and save a few for other supplies such as rubber gloves. An old drying rack makes a great coloring book organizer! The utensil caddy is also useful, as you can fill it with markers, crayons, and colored pencils. Want to better organize your jewelry without spending money on extra jewelry boxes? Use old ice cube trays to house necklaces, earrings, rings, bracelets, and any other baubles. As an added bonus, you won’t have to go digging around for your jewelry–everything is laid out in plain sight! Sick of keeping spices in plastic containers? Deal with this issue by recycling baby food jars and using them for spice storage. Keep them in a drawer or spice rack, and don’t forget to label them as you go to prevent serious confusion! 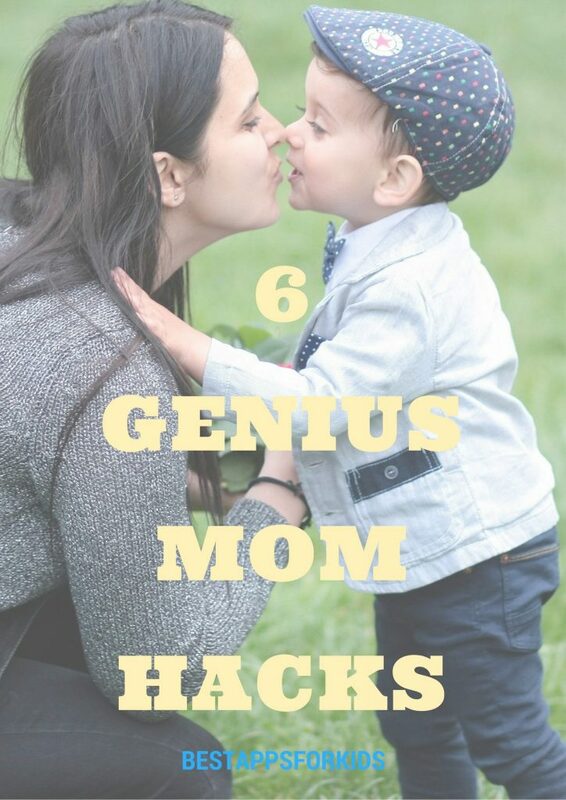 Have any other favorite mom hacks you’d like to share?